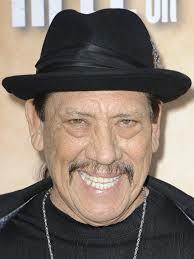 Danny Trejo was born Dan Trejo in Echo Park, Los Angeles, to Alice (Rivera) and Dan Trejo, a construction worker. A child drug addict and criminal, Trejo was in and out of jail for 11 years. While serving time in San Quentin, he won the lightweight and welterweight boxing titles. Imprisoned for armed robbery and drug offenses, he successfully completed a 12-step rehabilitation program that changed his life. 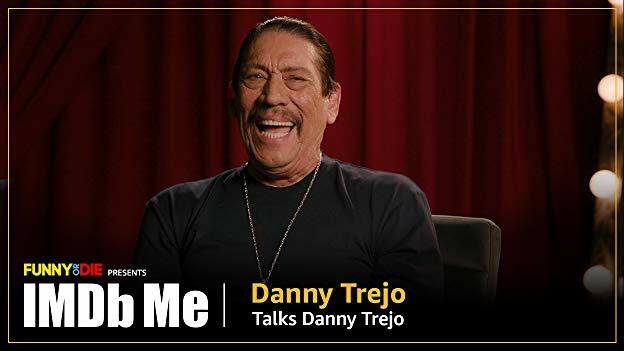 While speaking at a Cocaine Anonymous meeting in 1985, Trejo met a young man who later called him for support. Trejo went to meet him at what turned out to be the set of Runaway Train (1985). Trejo was immediately offered a role as a convict extra, probably because of his tough tattooed appearance. Also on the set was a screenwriter who did time with Trejo in San Quentin. Remembering Trejo's boxing skills, the screenwriter offered him $320 per day to train the actors for a boxing match. Director Andrey Konchalovskiy saw Trejo training Eric Roberts and immediately offered him a featured role as Roberts' opponent in the film. Trejo has subsequently appeared in many other films, usually as a tough criminal or villain.